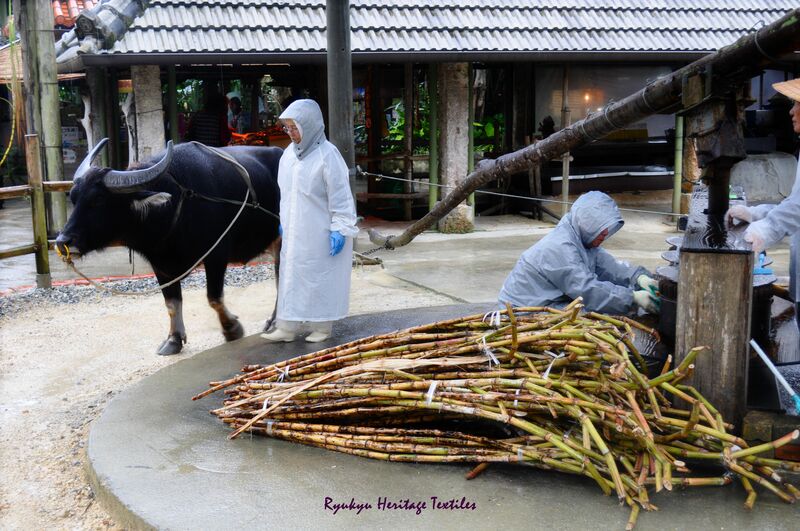 When my Okasan (mother) was a little girl, she remembers the local villagers processing newly cut sugarcane. She was often given a piece of cane as a treat on the way home from school by those working the cane in Izumi Village. 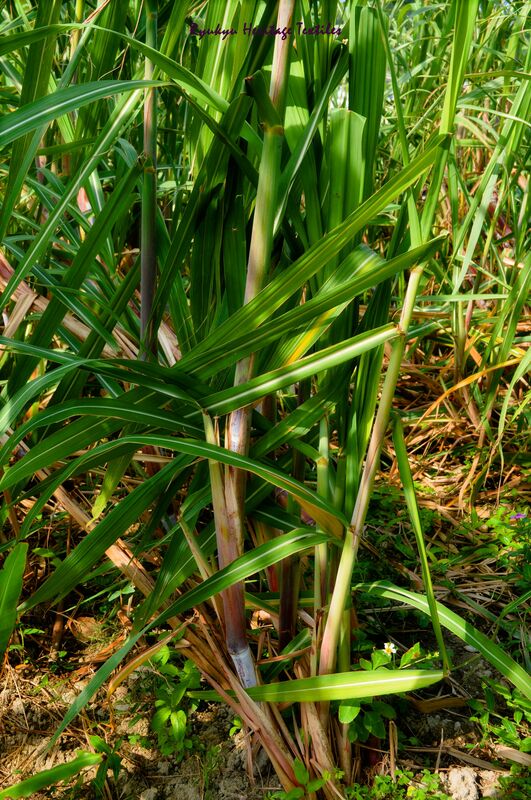 Now, many Okinawans use sugarcane for dyeing. 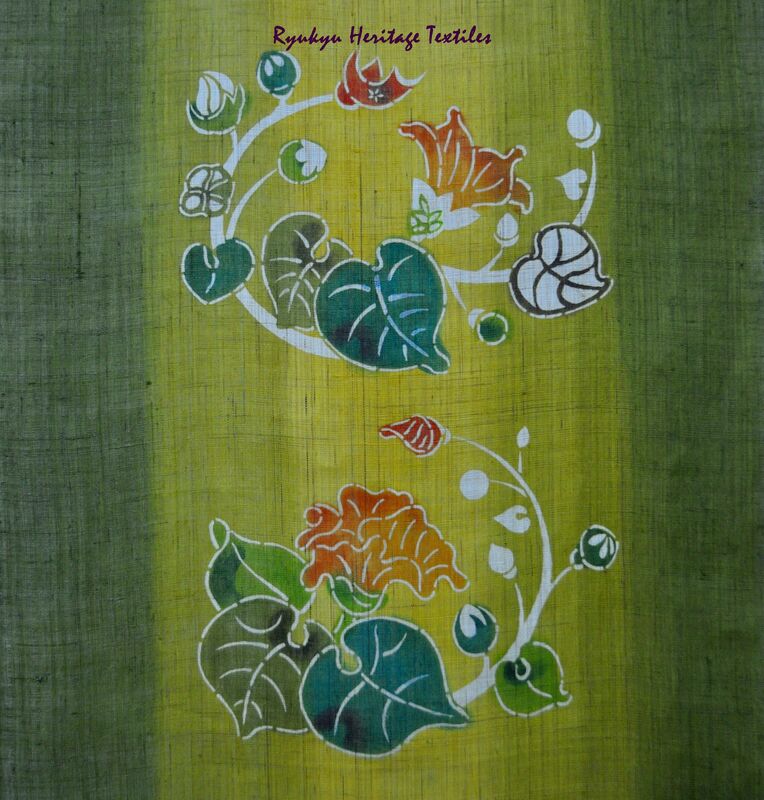 As in most Ryukyuan dye methods, dried or fresh plants are fermented to extract the dyes.